Pippa has a wonderful fiancÃ© named Chester, and she loves him dearly. 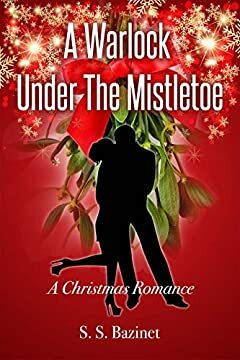 However, when she decides to write a romance book and fantasizes about kissing a dashing warlock under the mistletoe, she realizes something is missing in their relationship. In a teary confession, she blurts out her concerns to Chester. Her fiancÃ©, a studious psychologist, understands what she wants. Not only that, but he promises to do everything he can to be the man that Pippa is dreaming about. Still, the question remains. Will Chester have what it takes to release his â€œinner warlockâ€?